Hartmann Crew Philippines (HCP) traces its roots through the history of cooperation between its German and Filipino owners. In 1986, the German partners contracted the services of a crew management organization to provide Filipino officers and ratings through a Filipino owned manning agency. By 1988 the German partners had established Intership Navigation and worked with the future Filipino partners in a direct Principal-Agent arrangement. This created a closer, more productive relationship among the parties. In 1993 the general plan for a cadet program was drafted and implemented in 1994 with modest goals. The initial cadet program was conducted with basic resources. The cadet program was to set the terms of cooperation between the German and Filipino partners characterized by long term planning, emphasis in internal resources and critical assessment. In 2002, Associated Ship Management Inc., (ASM) was incorporated, a joint venture of equals the German partners committed to making the Philippines the prime source of seafarers vis-a-vis the Filipino partners providing acumen in Human Resource Management to develop professional and highly motivated Filipino Officers and Ratings. It was a critical and strategic partnership aimed to benefit not only the partners but the seafarers as well. In 2015, ASM changed its name to Hartmann Crew Philippines (HCP). The change in name was an initiative to align the local company with its principal partner in Germany: Hartmann AG and to reaffirm its membership to the Hartmann Group. 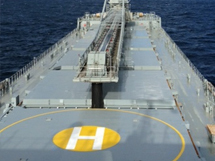 The new name has paved the way for the actions of HCP as it moves forward and progresses alongside a new era of shipping. There has been no change in management or in the values upheld by the company. Hartmann Crew Philippines (HCP) is a POEA-licensed manning agency compliant to ISO 9001 :2008 with 3,600 global maritime professionals on a fleet of over 170 vessels roving in active service to man its different vessel types including: oil tankers, gas tankers, product tankers, container ships, multi-purpose vessels, and bulk carriers. Hartmann Crew Philippines is the sole crewing partner of Hartmann AG in the Philippines with a mission to be the leader in crewing by building careers, preserving families, and strengthening a nation.